Super Dispatch's iOS scanner has the ability to scan Text, Barcodes, and QR Codes! 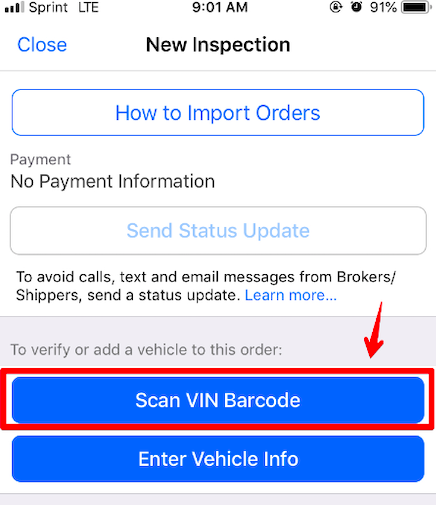 While inside the Super Dispatch driver app on your phone, click on any load where you want to scan a VIN. This opens the load information page, where you can see the information inside, such as car and delivery information. On this new page, there will be a blue button that says "SCAN VIN BARCODE." 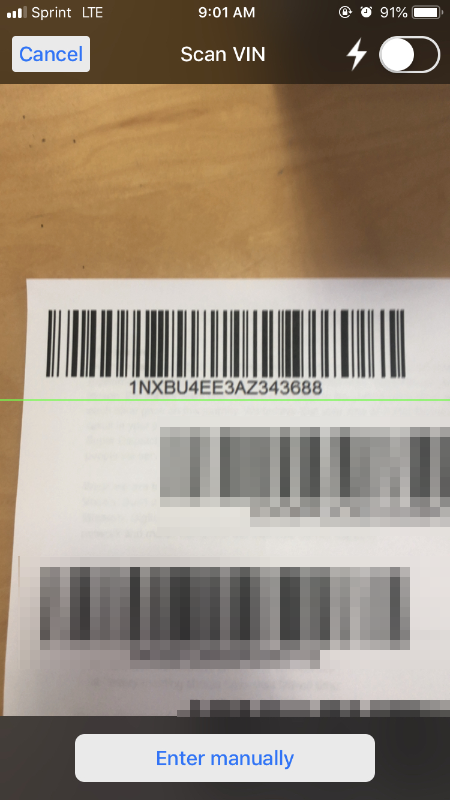 Align this green line directly over the text, barcode or QR code, so that it can scan the information. 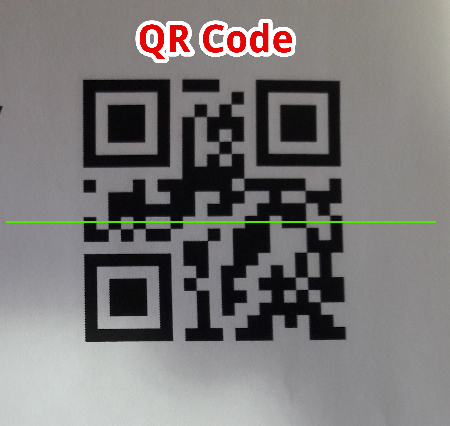 When using text, QR and barcode scanning, you may need to hold the camera over the font for a few seconds with a good focus. Warning: Our text scanner is not always 100% accurate. Certain fonts like the one below are difficult to scan and may lead to incorrect characters. Please ensure that you double check the decoded VIN with the vehicle VIN when using this capability. If you have any more questions, please click on the blue support chat button in the right hand corner of the screen. We will be happy to help you!